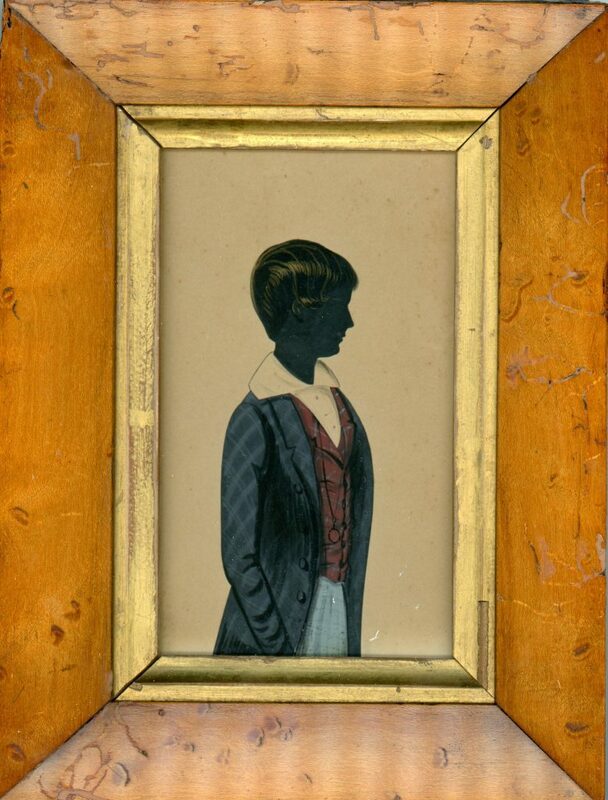 The use of colour in silhouettes is unusual but can be very striking as in this portrait of a teenage boy wearing bluish-grey trousers with a checked coat over a red and white waistcoat and white shirt. 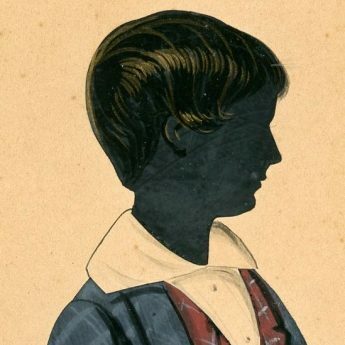 A quizzing glass hangs around his neck on a black cord. 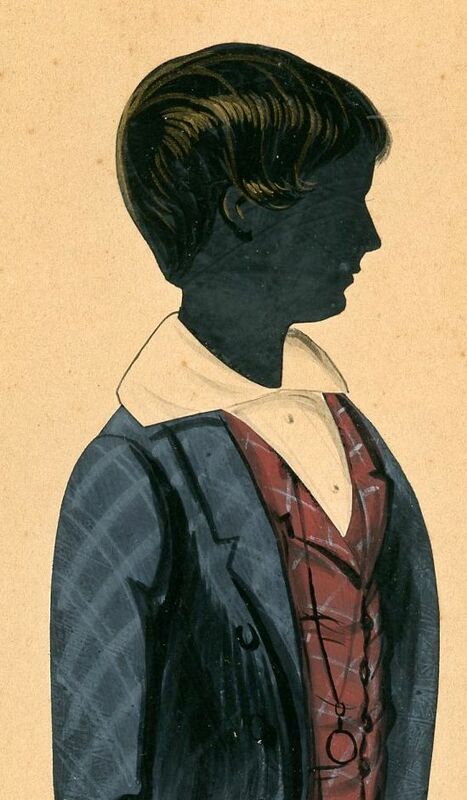 The silhouette is cut and then painted with watercolour with gilding used to highlight the hair. It is set in a flat profile bird’s eye maple frame with a gilt slip. Fine condition.